Mr Rosen was the highest ranking US officer during the second world war who was of Jewish decent. As you can see, he was well educated, highly decorated and as he fought in both world wars, he had plenty of combat experience. He died in combat and was buried on the American war cemetery in Maargraten. This blog post serves two purposes; I wanted some personal balance following a recent blog post. I also wanted to show how diverse the Jewish experience has been during the second world war. This is the third post at that. You probably could not make it to Magnus's presentation about Wikidata. That is the sad news. The good news is that the slides of his talk are available for all of us to see. The presentation is well structured, it explains clearly what Wikidata is about and the tools ecosystem gets its attention. When you present, you have to fit the information in the allotted time frame; it follows that there is more to show, more to explain. Much of this can be found by reading Magnus's blog. In addition to this there is always this blog. As always, questions remarks suggestions are very welcome. On my random journey through Wikidata, I came across Wilhelm Cirener. All that was known about him was that he died in 1941. The only article about him was in Portuguese. I had a look and found that he was awarded the Knight's Cross of the Iron Cross. There is a category with 1101 entries. It was easy enough to make all items both "human" and recipients of this military award. 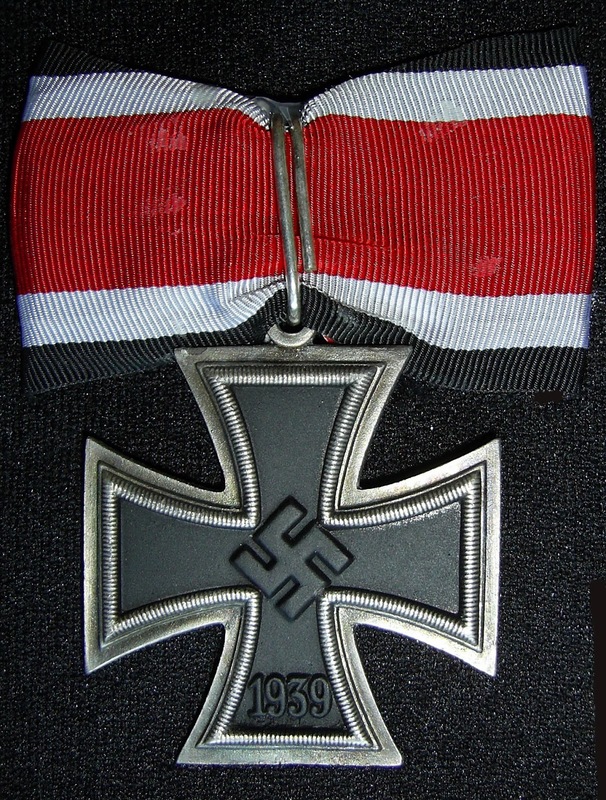 It also shows that there are people working on completing articles for all recipients of the Knight's Cross of the Iron Cross. When I blogged about Kalonymus Kalman Shapira, I was able to identify only 586 people who died in the holocaust. I hope there are people working on expanding their number in both Wikipedia and Wikidata. Diversity is very much about balance. With so many Nazis considered to be notable and so few victims represented the balance is wrong. The "bitter herb" is a book by Mrs Minco that many Dutch people read when they were in high school. It is short and written in an easy way. The obvious question you had to be prepared for was: "please explain the title". Mrs Minco is Jewish and during the German occupation, she saved her life by going into hiding. 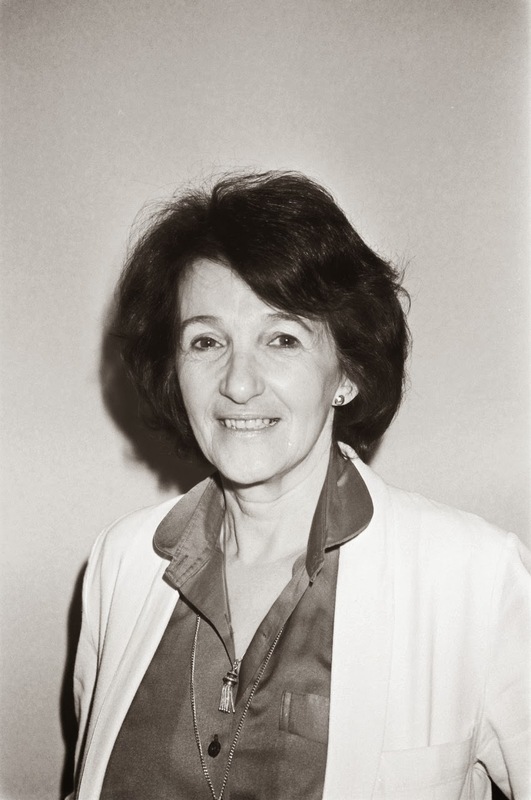 After the war she wrote a large number of books and only two are known at this time to Wikidata. She married, had a child became a widow. Mrs Minco proved to be a great example to explain both about Wikidata and Reasonator. I spoke with someone from India and he got the basic information about Mrs Minco. He understood that when labels for the basic properties and qualifiers are entered, much of the information would be understandable in Gujarati, Tamil, Sindhi or Nepali. Even better, the same basic information helps annotate Gujarati, Tamil, Sindhi or Nepali authors as well. At this stage a lot of work goes into a more complete annotation. Several of the awards were not known to Wikidata. Her husband and child needed work even though they both have Wikipedia articles. What is not clear how you indicate that someone went into hiding. As it has been quite traumatic, it is important enough to include it when you annotate the life of an author. When you expand your horizon, there is more to be found. As you can see in the screenshot, when you search for Jan Wolkers, an award winning Dutch author, you will actually find something. As you may know, Wikidata has information in any language. By adding the Wikidata Search functionality to the Wikipedia extended search, more information will be brought to you. Statistics prove that people are finding these results. It does provide results that are part of the "long tail" but these numbers add up. It is how we "share in the sum of all knowledge that is available to us". In Wikidata, we care about the items that have a relevance. It is why we care about the "United States Secretary of Education". Reasonator shows the incumbent Mr Duncan, the seal of the office, the topic's main category and in related media, pictures of the predecessors of Mr Duncan. When you analyse the Wikipedia articles that are linked to this item, you will find that some of them are lists. A growing consensus in Wikidata has it that in order for them to be connected to the singular subject, we just have to ignore the fact that a Wikipedia calls it a list. One consequence is that the label used for the language(s) involved will have to be singular as well. The one issue that may prove problematic is when there are Wikipedias that have both an article about the singular subject and an article that lists them all. This is however not really a Wikidata problem. Soccer is probably the most popular game in the world. Many of the best players are from Brazil. The English Wikipedia has a category for them and it includes 4907 pages. Of these pages, 4718 have a Wikidata item. 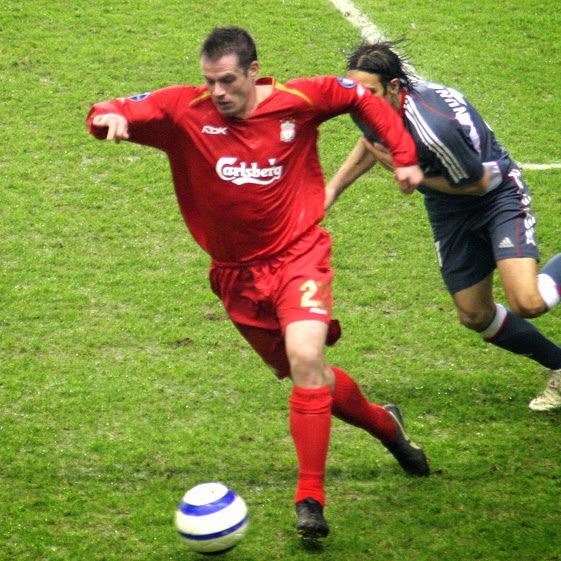 At the start there were some 527 Brazilian soccer players known to Wikidata. Using this category all the items were made a "human" a "Brazilian" and a "football player". The result is that Wikidata now knows about 4727 "Brazilian soccer players". Obviously, when the missing items are added, there will be a few hundred more people known to be Brazilian soccer players. When the same process is executed on the category for Brazilian soccer players even more people are likely to be known as such. There is enough left to do so join in the fun. There is no particular reason why I show Mr Trent to good effect. It is just that Reasonator makes him look good. When you roam through Wikidata using the Reasonator, you will find a lot of qanats. They are water works of a different kinds and they are equally important. These water works prevent starvation. For many of them there are articles in the Wikipedia in Persian and, the only thing known was that they were qanats. I asked a friend and he told me that it was known in what "administrative-territorial entity" they are. As you can see in the screen print, that one is in the Kahak District of Iran. The only problem was, Reasonator did not show it. Adding the fact that the Kahak District is part of Qom County proved enough to show 221 items, all qanats. My friend will add the other (missing) counties to districts. It will not only enrich the information about qanats but as relevantly also about Iran itself. What I would like to see is to have all the villages, cities and what not be as well covered for Iran as it is for China. China has at this moment the best coverage of its administrative system. 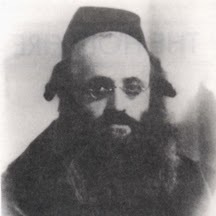 Kalonymus Kalman Shapira was a Polish rabbi who died in the Trawniki concentration camp. At the end of the war, the Nazis decided to execute all the remaining prisoners of the concentration camps in operation in operation "Harvest Festival". Mr Shapira was shot. The manner of death is an execution. However, I can not make myself add this as a statement of fact for Mr Shapira. The reason for this is that execution is considered a synonym of "capital punishment". Capital punishment has as its narrative: "legal process whereby a person is put to death by the state as a punishment for a crime". The Neurenberg trials have concluded that what happened may have been expedient but it was absolutely not legal. The number of notable people who died in a Nazi concentration camp seems to be low. Only 586 people among many false positives. 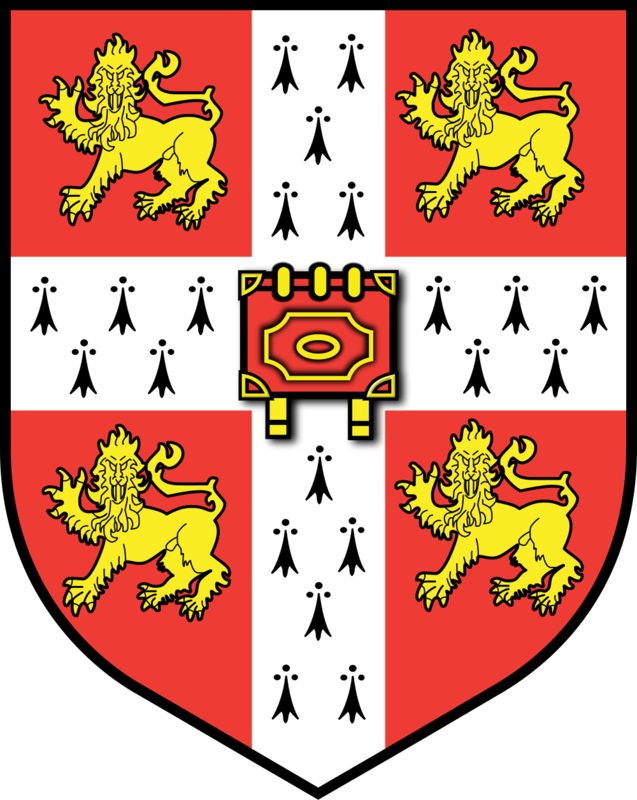 When you happen to be in the neighbourhood of Cambridge on 27 February 2014, you have the option to attend a lecture where Dr Magnus Manske will give a presentation on Wikidata. According to the information, you may "learn more about all its functionality, how it works, and how it will change the future!”. For the rest of us, we have experienced how Wikidata has developed and how Reasonator makes information out of Wikidata's data. There is a lot to all the tools that Magnus developed, tools like WDQ, AutoList WD-FIST. Being a fly on the wall in the Plant Sciences Lecture Theatre, Downing Site is an ambition. However, I will happily report about the developments of both Wikidata and the tools that Magnus is famous for. 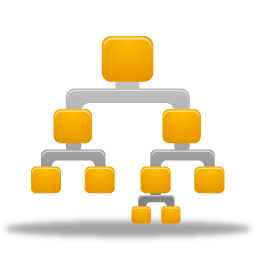 #Wikipedia categories are #lists and an #ontology in a way. When you look at Wikipedia categories, they refer to articles that fit certain criteria. What you may also find other more specialised categories and "meta articles". Take for instance the category "Painters by Nationality". You will expect that all articles about people; they are "human" and they are all painters. 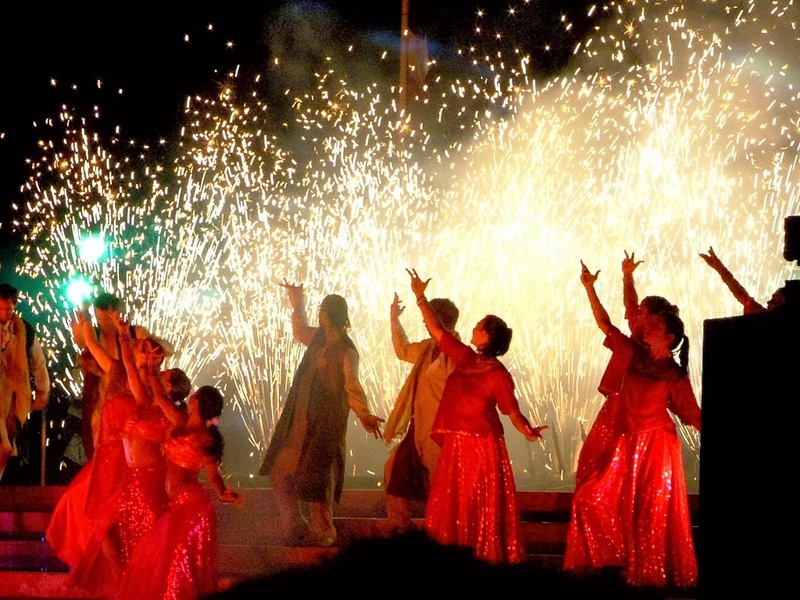 The category "Indian painters" includes painters who have the Indian nationality. 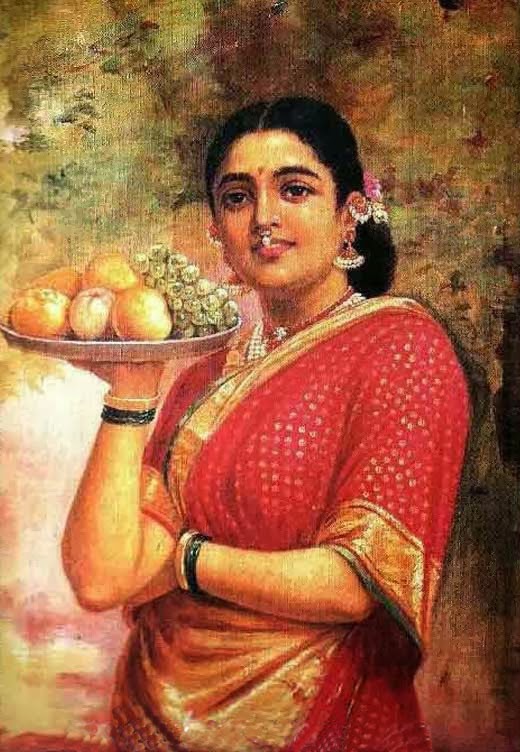 It has a subcategory "Indian woman painters" they have the female gender. When people want to know their names in Hindi, Gujarati or Telugu, they can find them and even add the missing ones. By implication, suggestions for Wikidata statements can be made when articles are added to categories. They are what defines the "list" in Wikidata. Suggestions can be ignored but the consequence is that Wikidata will not know them as belonging in that category. Suggesting what categories articles belong to is much harder. However, when an article on the same subject exists in another language, categories that are shared between the languages are obvious targets. All this hinges on a shared understanding of what categories are. #Wikidata becomes useful when there are many items that are connected. Lists and categories connect items because they imply that statements on all items are shared. Lists and categories can be defined with properties that can be used to run a query. Important is that the inverse is true as well. A Wikipedia list or category implies that particular statements are true for the items that exist on a list or in a category. It does not imply that these actors have the "nationality" of "India". This is implied by the category "Indian film actors". Thanks to WDQ, it is possible to know which actors who play in Hindi movies do not have the Indian nationality. This query makes it possible for people who care about Bollywood to consider the nationality of the 224 actors who fit this query. This describes actionable information of a project. Your project can be done in the same way. You add data using AutoList or WD-Fist and Reasonator will display the information in an attractive way. These are tools that provide you grip on your projects. Wikidata provides you with information that may exist in any or none of the Wikipedias. What is the point of defining in #Wikidata the "is a list of" property when it does not provide a benefit. So far there was no point. With the latest functionality of the Reasonator, it shows what the list contains based on the definition. Obviously that is not what the different Wikipedias may have in mind. Typically a list contains of existing articles and the odd red-link. Querying Wikidata will provide you with all items that conform to set criteria... all of them. It is the perfect list when all the items that should be on the list conform. Obviously, many lists are incomplete because many items have not been populated with statements that make them show up. In the example, the English category "List of Indian film directors" is a great place to start adding the statements "instance of" "human", "occupation" "film director" and "country of citizenship" "India". This is what you can do using the AutoList. It results in what you can see above. To make the result look pretty, there is FIST, this tool allows you to use the same category to add images that are available on Commons and are used in an image in a single click. When you are really into a specific subject, these are great tools that help you set up basic information. Friends who know different languages can help open up the information in their language. When there is no information about specific subjects, Wikidata is your best bet to make it widely available and, Reasonator is what makes it look good. This is a #map of Elburg, a municipality in the Netherlands. It shows its monuments and when available it will show a picture for them thanks to Wiki loves Monuments. There is a pop up for every individual monument and it shows a wealth of information. According to the Wikipedia article, there are 293 monuments in Elburg alone. The information is rich; it includes descriptions, geo-locations, external sources and a link to Google Maps. This is a great choice because it allows you to see all the monuments while virtually travelling through this small town. When this information becomes available in Wikidata, it becomes possible to find translations for many of the data items in use. The monuments in the Elburg can be found with a query like this one. The existing list article can be defined like this. For all the 293 items a new Wikidata has to be created and populated with the existing data. This blog post indicates that it can be done. The problem is that it requires a retooling of Wikimedia loves Monuments. To the people who worked so hard to build the existing tooling the message is: it is the work you did that makes it possible to have quick results in Wikidata in the first place. One of the features of the #Reasonator is that it will indicate when pictures are available in #Wikipedia articles. It takes several steps to add a picture and, many pictures have been added in this way. With the latest iteration of FIST, the Free Image Search Tool, Magnus has revamped an existing tool and gave it a new lease of life as a tool for Wikidata. While you are involved in a certain theme like "Nobel laureates in Economics" or "Authors of India" it is really powerful when all the items use one of the images used in a Wikipedia. As a tool for Wikidata FIST is still raw around its edges, it may time out its session for instance. However, it is such a nice tool; it deserves to be used. Organisations like the #Wikimedia Foundation, are governed by people. The composition of the people with power or influence changes over the years and, while some organisations are identifiably managed by one person, typically there are structures in place like a "board of trustees" or a "board of directors" or whatever they are called. To understand the notability of people, it is often important to know of what boards they are a member of. This defines their influence and, for the WMF the people who decide(d) on the issues of the WMF are in its board of trustees. Once all these people were included in Wikidata, when all the start dates and end dates were included, the "related media" of the Reasonator produced a nice composition of all of them. The time line proved interesting as well. Phoebe is included twice; there was one year when she was no board member. This also shows when you click on the "show items" for the 24 items of "member of". The information of the Wikimedia Foundation itself is interesting as well. It does show a logo (thank you Magnus) but it does not show many other things for instance its managing director. 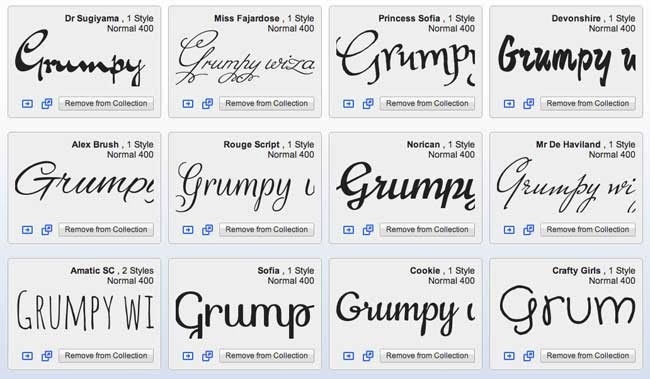 Particularly for people, their notability is often defined by the influence they wield. This influence is defined in the many relations people have. It is quite similar to politicians. For them we are quite comfortable including the offices they have held. When you edit in Wikidata, there are these icons to the right and left. They are rarely used but they are there for a reason. Consider for instance a gentleman who is known to have lived in the year 1751. With certainty we know that he died. It is appropriate to add the "unknown value" for everyone who was born in excess of 120 years ago for their "date of death". Indicating "no value" is relevant when something is explicitly known to not exist and for it to be relevant. Adding such values become relevant when Wikidata or Reasonator prompt you to add values for properties that are considered to be important. Indicating that there is "no value" or an "unknown value" will ensure that the tool is satisfied that there is a value even when there is not. 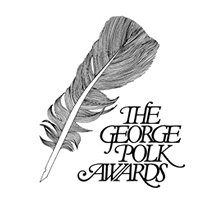 It is in the #news that the George Polk Awards have been awarded. So far the English Wikipedia has not caught up to that fact. None of the other recipients of the award were known in Wikidata. By using the "AutoList" it was easy enough to add them all. Of the three new recipients only two were known to Wikidata. They have also been included as well. Many of the people were not known to be humans and this has been remedied. Given the wonderful tools that are available, it does not need to take much effort to add a lot of data to Wikidata. QRPedia has been part of the Reasonator for some time. It is wonderful to have projects that are not officially sanctioned work together well. What is so cool is that when you want to have a QRpedia for any subject, all you have to do is go to Reasonator and the image will be there for you to use. When you want to sum up what Reasonator is about, it is giving the information that there is relevance, a purpose, a use case. When you trawl through Wikidata using the "random item" in Reasonator, the lists, categories, disambiguation pages are a pest. As it is, there is nothing for them to show. Given that people want them to be part of Wikidata, you can either ignore them, the current practice, or you can seek relevant information for them to show. When you have a "List of sieges", it is obvious what they intend to show; on a Wikipedia, such lists include articles that are about sieges. Wikidata is becoming rich in information and, at this time there are 825 sieges known. That is more than on any of the existing lists. When you analyse the information on this "List of sieges", it does include everything to build a query "is a list of" and "siege". It becomes more interesting when you want to identify sieges in a specific time frame or sieges with a specific participant. There are lists for that as well. To find them in Wikidata, the items we search for have to be rich enough in data for a query to find them. The first thing though is to provide enough information on the item for the list to build a query, the second is to have enough information on the items it is to find. At this moment #Wikipedia has 280+ versions. They represent 280+ different languages. Every language is written in a script. This script may be from right to left (eg Latin), from left to right (eg Arabic). Top down is not yet supported. All these languages use Unicode to represent the characters in their script. As a consequence it is "just" a matter of configuring a language correctly and it will work in a wiki. The characters used in a script have to be defined in Unicode. Without this supporting a language is problematic. An example of this is the SignWriting script and all the sign languages. They are not supported by the Wikimedia Foundation and they are developing their software themselves. When people want to have their own Wikipedia, they have to localise the MediaWiki software at translatewiki.net. This is a requirement for the people that request a new project to fulfil. All that is required to support another language is some configuration. To support all languages other than English, MediaWiki developers have to internationalise their software. This is a well established process, there is nothing special in there for "small languages", it is the same process for any language. When people use MediaWiki it can be assumed that they use any of these 280+ languages. It cannot be assumed that they know any other language than their own. The Universal Language Selector allows people to select the language they need for their user interface. They can choose a language by typing in the name of their language in their own language. Once a languages is selected, MediaWiki supports both input methods and web fonts. This is necessary because most devices do not support all the languages MediaWiki supports. At this point a user can read and write in MediaWiki. A special case is the OpenDyslexic font; is enables 7% of a population to read their language with less effort. This font works only for many languages that are written in the Latin script like English. One other aspect of language support is in enabling search in all the 280+ languages. This is where Wikimedia engineers may have to do special things for a single language. When they do this well, they only have to do this once. Typically however, setting up search for a language is well documented, it is part of international standards. Language support for MediaWiki is nothing but internationalising the software and for being mindful that MediaWiki is used by people representing over 300 cultures and languages. There is no special consideration for small or big languages. Last year there was an edi-a-thon about female scientists of India. To give it a focus, the fine ladies described in the book Lilavati's Daughters were the shared target. This year there is another edi-a-thon but it is interesting to see how things have progressed from last year. In the screen shot you can see that some of the subjects of the book show in Hindi. Others like Anna Mani still show in English. When your language is Hindi, it takes you two clicks to add a label in Hindi. When your language is Gujarati it takes two clicks as well. It is really nice that thanks to the Reasonator Wikidata becomes useful as a tool for Wikimedia projects. When the objective is "share in the sum of all knowledge", the first objective is what it is all about. 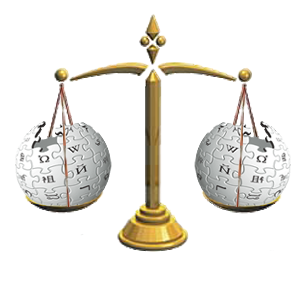 When people can not edit, when they can not read Wikipedia articles they are interested in, the Wikimedia Foundation fails. It fails big time. I do not mind when designers want to make Wikipedia look good. It is what they do, it is why they have their job. What I do mind is when their concerns, concerns that are secondary to the WMF mission, interfere with the primary objective. Web fonts and input methods are part of the "Universal Language Selector"; it is software that is designed to support the primary objective. It does its job well. It allows people to use OpenDyslexic for instance, a font that makes it easier for dyslexic people to read. It allows people to use fonts for the Myanmar, Tamil, Amharic, Divehi languages and consequently edit and read in their language. When developers complain about the ULS, they talk about its impact on performance, they talk about the availability of fonts on systems. There is no appreciation for what the prime objective of the ULS is. This lack of appreciation indicates for me that these developers have lost what it is MediaWiki needs to achieve: enable people to share in the sum of all knowledge. Guess what, we know in what "is in the administrative-territorial entity" something is. We also know if those items have a geo location and no picture. That is what the "missing images heatmap" is about. It is another one of those ideas that shows that we can. It shows however for as long as the Labs servers serve. The missing images heatmap is another instance where it figures out where items can be found. In this case it drills down to the lower levels of administrative or territorial entities of the Netherlands. Obviously, when you want to know if the items in "North Holland" have their image, these items have to be known as being in North Holland or in one of its sub divisions. WDQ is the tool where you define and run queries on the Wikidata data. It is not on official tool, it runs on replicated data in Labs and, it works really well. While you prepare your query, you will see the number of results and the first 500 results. They are the maximum number of results that Wikidata provides when you request for information through its API. When the query definition is satisfactory, you could create a "permalink" for future reference. What is new is that you can move on to the "AutoList:". This is where you can page through all the results and select items for special attention. On March 8th several edit-a-thons will be held in India to celebrate "International Woman's Day". In preparation a list of women whose articles need to be created or expanded has been created. When you look at it from a Wikidata perspective, the first thing is do they have an item. When you start from an English perspective, you can search for them using the Reasonator; all of the women mentioned now have an item. WDQ is a tool that really helps; it allows you to query the number of Indian women in Wikidata. It provides a nice interface where you can construct queries. A constructed claim like (claim[27:668]_AND_claim[21:6581072]) can be used in yet another tool, the AutoList. The AutoList provides much more informative results and, it has the added advantage that you can work with all the items on the list even when there are more than 500. Both Reasonator and AutoList are great tools to coordinate multi lingual projects. When you hover over an item in a #Reasonator screen, you will get a box with all kinds of goodies. They include a link to Wikidata, to Commons, Wikipedia, there may be a picture, there may be a generated description..
Today we celebrated the good work of the Wikidata developers, the WMF developers and we have the ability to add labels where they are missing. This is such a time saver that I asked Magnus if we could have this in the "concept cloud" as well. Sangargali is a place in the Belgaum district of #Karnataka, #India. Several languages are spoken in Karnataka. When you look at the information for Sangargali you would expect the information to be available in Kannada, the official language. The latest and greatest functionality of Reasonator, allows you to do what you would like to do the most; add the missing labels in *YOUR* language. It is easy when you have set your personal settings. When you add a label, just consider what it does; everywhere where this property is used the new label will show. Just by using Reasonator and adding missing labels you will make a difference really quickly. In my opinion there is little you can do that is as effective in making information available in *YOUR* language. 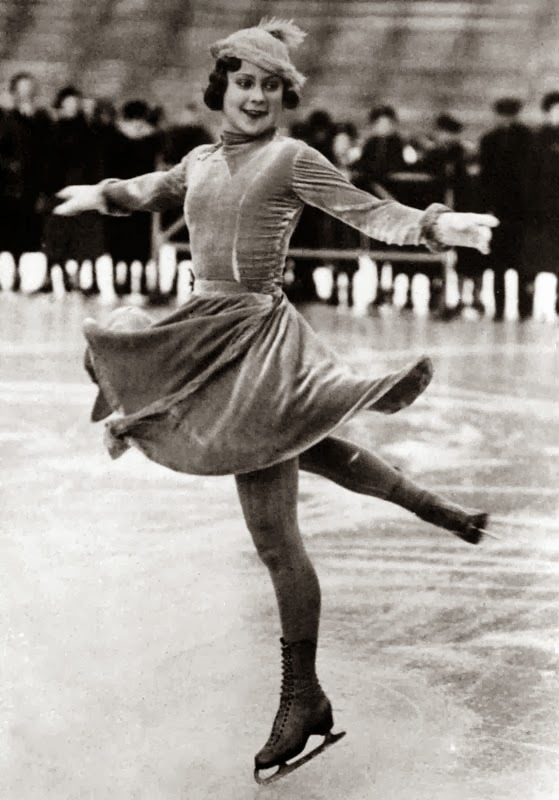 With three gold Olympic medals for figure skating and being the world champion ten times, Mrs Henie is an undisputed queen of figure skating. She followed up her career as a skater by becoming an actress. She married into money and a museum in Norway is named after her and her husband. It is quite funny that with the Olympic games in Sochi taking place, there is no reflection on what is happening in Wikidata. I could not find how to indicate that Mrs Henie was an Olympic champion and consequently the results for speed skating are not available either. There is nothing more boring than getting only the name of an article when you are roaming in a random manner through #Wikidata. Adding information one at a time may satisfy for a moment but you are unlikely to see the same item again. Mickaël Larpe was not know as being from France, neither was he known to be male nor a bicycle racer. This information is however implied in the category "Coureur cycliste français" on the French Wikipedia. Thanks to the AutoList and Widar this information is now explicitly known in Wikidata. You may want to add an image when the Reasonator indicates that there may be one like I did for Mr Larpe. #Wikidata will show you the labels for the languages that you specify in the Babel information on your user page. This is really useful. Reasonator supports your Babel information by allowing you to import it into your personal settings. This will be the order for fall back languages when looking at labels. New is that this information may influence the "Random item" functionality. The randomiser will shows all items, or only items with or items without a label in your languages. These three options all have their own use cases. When you want to learn about the content Wikidata holds, all items is best. It will make it obvious that there is much that you hardly understand. When you look for items with a label in one of the languages you know, you are provided with a great opportunity to add statements in Wikidata. Many potential statements are obvious from reading the text that shows when you hover over a Wikipedia link. When you go for the option of no labels in any of your languages, you have the opportunity to add labels when you can make out what these articles are about. The bottom line? Add your #Babel information on your Wikidata user page, import it in Reasonator for added fun. 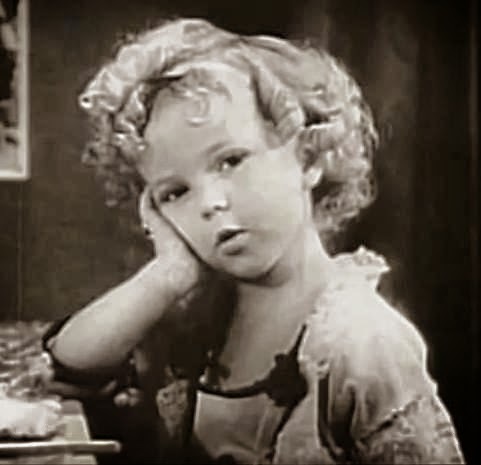 When she was a little girl, she was an actress. She was immensely popular and recently, she died. When something happens to people like her, it generates a lot of activity; Wikipedia articles are updated or written and, at Wikidata missing data is added. Did you know for instance that she became a diplomat when she grew up? That she had parents or that she had children? They are the kind of things people have been adding and, as always, as more data is added Wikidata gains relevance. The best kept secret of #Wikidata? It must be the effect having a #Babel template has on your experience. It is how you set up the languages you want to see the labels for on a Wikidata page. Not many people have this set up; currently there are only 1755 people have indicated they know English. By adopting the possibility to import your Babel information from Wikidata, we hope that more people will set up their language preferences. When you look for "Boca Raton" in the Reasonator, you will find that many of the items found are "located in Florida, United States of America". That is just dandy; when you arrive in Florida, it is obviously it is there. When you are actually in Boca Raton, Palm Beach county you stand a much better chance of finding its East Coast Railway station or its Old City Hall. With Reasonator you find all the items that have "Boca Raton" in its name. With the "Autolist" you can query all the items that are "in the administrative-territorial entity" of "Florida". You will find many items that are in counties, cities that may be in Florida but that is NOT where you easily find it. When you want to know that the "Boca Raton Old City Hall" is in Florida? Reasonator will show you its location just fine. It even points out that the USA is a part of our planet. I positively hate lists. They should have only two statements one should indicate that it is a list and the other should indicate what the list is about. The problem is that many Wikipedias think a list is a substitute for the real thing. When you look at the statistics for the Reasonator, you will find that there is no interest to see the information it provides in Arabic. So far there have been only 24 page views ... How to double this and double it again, how to find an audience for information presented in Arabic. One way is to have information that they might like, this is why I did some work on the kings of Saudi Arabia. However, it then shows that the timeline screws up in that the buttons for right and left overlap. It is open source and a solution is welcome. Sometimes you want to do something that is just a little bit different like knowing what properties are used for the items that match a specific query. There is a tool for that. The query that demonstrates the tool shows the properties used on the items that have "is in the administrative-territorial entity" and "Florida" as a value. When you know what properties go together, it allows you to consider what properties are missing. A good example can be found for the combination of "instance of" and "legal case"; there are no properties identifying external legal sources in any jurisdiction. The timeline functionality shows when there are three or more statements that have been dated. The most obvious dates are the life events; birth, death, marriage and children. For many people other dates are as significant; Mr. Gandhi for instance was born in India, studied in London, returned to India, took a job in SouthAfrica and returned to India. For authors the dates of publications of books are relevant. For military men the battles they fought, for politicians the positions they held, for people competing in sports the competitions they participated in. There are the people who won prizes or received awards in any field. There are so many things that are dated and when they are presented together on a timeline in a context, they provide a different kind of understanding. #Wikipedia knows many famous court cases. Adams v. Howerton is one of them. Another one is "Roe vs. Wade" it is even known by many people outside of the USA. When you look at what Wikidata has to say about Adams v. Howerton, you will find that it is a bit sparse. 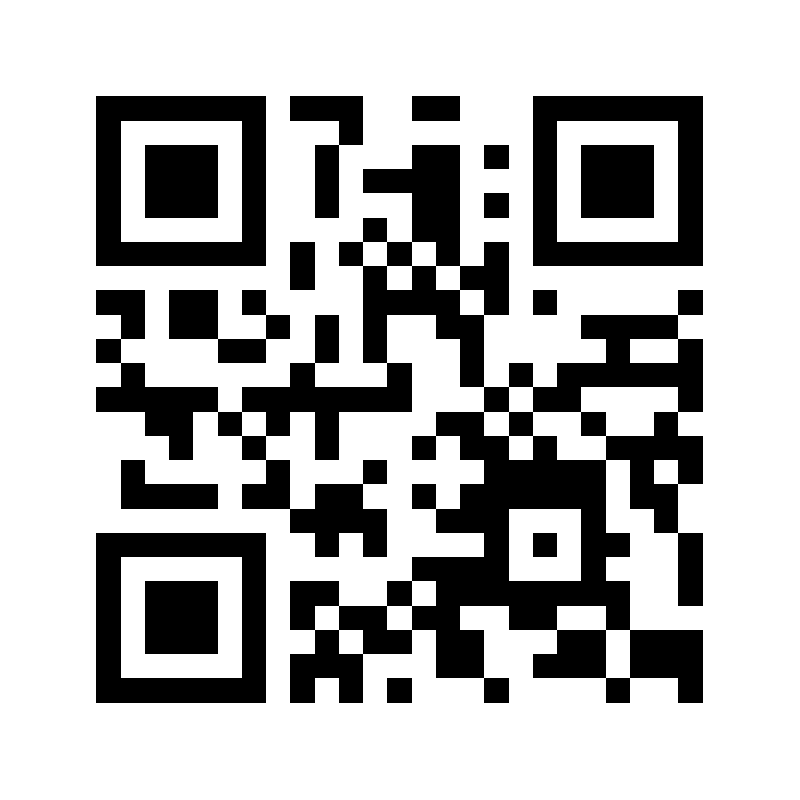 When you look around, you will find that the text can be found on line: 673 F.2d 1036. 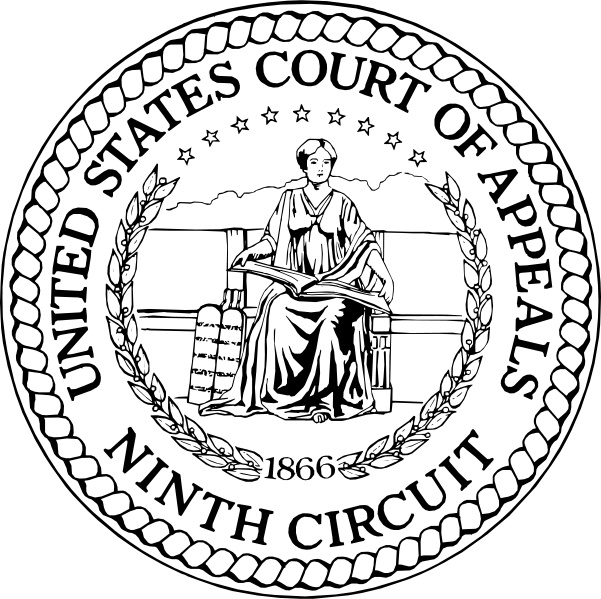 It is reasonable to expect that for all the US American court cases known to Wikidata the text will be available on line. It would be just a matter of defining the resource that does and, how the URL can be massaged to be be used in Wikidata. People are expected to know and respect the law. It helps when it is easy for them to find pertinent resources. Providing you access to great information is the mission of the Reasonator. The latest new functionality is that when you hover over a Wikipedia link you will see the first paragraph of that article. The first paragraph of an article often includes the most relevant facts on a subject. These facts often indicate the missing statements in Wikidata for that subject. This makes it even more convenient to use Reasonator as a tool. Synny Isles Beach is a town in Miami-Dade county, Florida. Miami-Dade county is in the state of Florida. But in order to appreciate the "is in the administrative territorial entity" property, you only have to indicate one level up. When you compare this information for the USA towns, counties and states in Wikidata and you compare it with the information for Chinese towns and its subdivisions, it becomes obvious that a lot of hard work is still to be done. Reasonator is being used. One reason why it is used is because it is an option in the #Wikidata search results. This explains why it is used so much more in Polish than in Dutch. It is also used because it is increasingly informative. Just have a look at the page for Mahatma Gandhi for instance and check out the timeline..
What also contributes to the popularity of Reasonator is that more simple and obvious contributions are possible from within Reasonator. To make an article, a display with information look NICE, you need an image. Many pictures have found their way on many articles in many Wikipedias. While travelling randomly through Wikidata with the Reasonator, I came across Johan Nilsson. He is just a random guy with a picture in his article. The latest functionality suggested that there might be a picture to add. There was and, I did. Don't you think his Reasonator page looks better with his picture? The property "position held" has been linked to "prime minister of the United Kingdom" 24 times in Wikidata. Illustrious predecessors of Mr Cameron like David Lloyd George or William Ewart Gladstone are missing. This is now even more visible because of the new timelines functionality. For events to become visible on a timeline, appropriate qualifiers have to exist. A good example is the second period when Mr Churchill was prime minister. This was from October 26, 1951 to April 7, 1955 and this makes it obvious that the current description in English for Mr Churchill is incomplete. 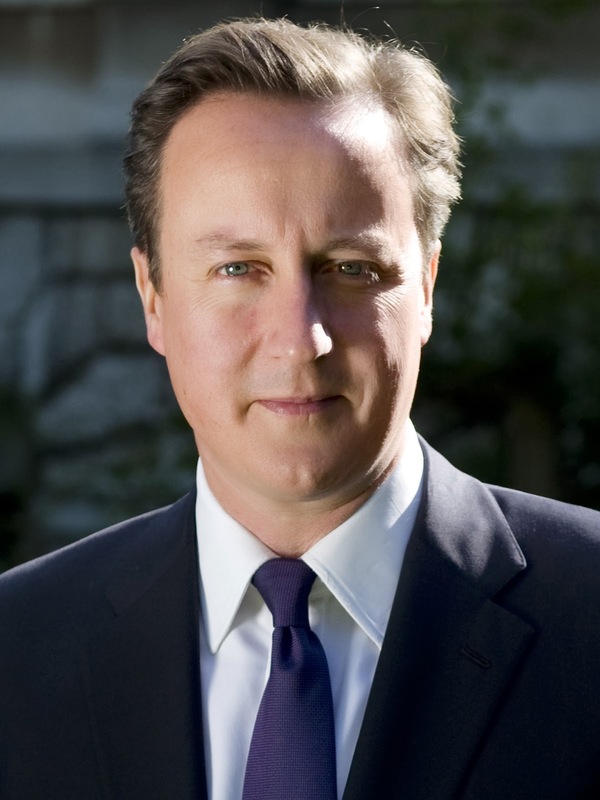 There are many people who have a special interest in the United Kingdom. It is for them to complete all the missing information that will show up on timelines like this one.